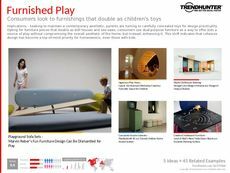 Find Better Ideas, Faster ® with a custom baby furniture trend report, our PRO Dashboard and 80+ categories of premium trend reports. 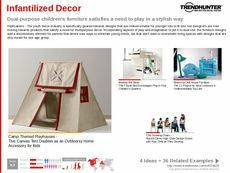 The Baby Furniture Trend Report investigates the multitude of baby bedding, bedroom furniture and baby nursery trends enticing consumers. 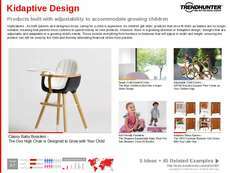 From innovative playpen and rocking chair designs to cribs, cradles and cots for babies, we feature modern furniture trends that are not only innovative, but also create key changes in the industry. 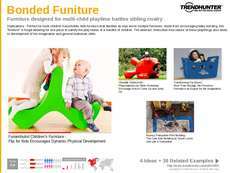 Although our research is aimed at retailers and furniture stores, it can also be used by many professionals. For market researchers, analysts and product developers that want to enhance their knowledge of trends affecting the industry, this report will be a valuable tool. 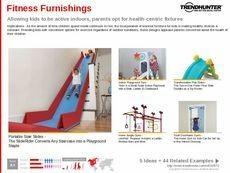 Leverage the data in the Baby Furniture Trend Report to discover current and future trends that will help you isolate emerging opportunities.